Techpoint in 2014 released the new technology HD-TVI (High Definition Transport Video Interface) for the video surveillance market. This new technology drew rave reviews and was heavily adopted by tier one video surveillance manufacturers worldwide including Hikvision, AVTech, IDIS, TVT, and hundreds of others. The basis for HD-TVI is taking uncompressed HD video and transmitting it over 500 meters of distance on standard low cost 3C-2V coaxial cables using analog transmission techniques. This technology solves the problem of distance, cost, and reliability associated with HD-SDI and other digital LVDS transmissions without the drawbacks of video compression necessary with HD Ethernet or IP video. The HD-TVI technology is also heavily applicable for the automotive infotainment market as manufacturers can now use low cost unshielded twisted pair cables and low cost connectors and still achieve reliable and robust HD video inside the automobile. We invite you to experience the transformation of the HD video markets as we take you to the next generation of HD video surveillance and HD automotive video! We design and develop semiconductors that can transmit full HD video of surveillance cameras over a long distance using the existing coaxial cables. Since we utilize the already installed infrastructure it helps reduce the capital investment cost. Our proprietary standard for the transmission method is called "HD-TVI." Tx semiconductor (transmitter) incorporated in a surveillance camera transmits video signals. Rx semiconductor (receiver) incorporated into a video recording device receives the signals. Our semiconductors can transmit 1080p full HD video over 500 meters through an inexpensive coaxial cable. We have developed 4K resolution compatible products. Soon we will introduce our new products such as Tx semiconductors integrated with image signal processor (ISP). We design and develop semiconductors for transmitting video signals for rearview camera system and surround view camera system of automobile. They enable the devices such as car navigation to display full HD video. Our proprietary standard for transmission method is called "HD-TVI." Tx semiconductor (transmitter) incorporated in a rearview camera transmits video signals. 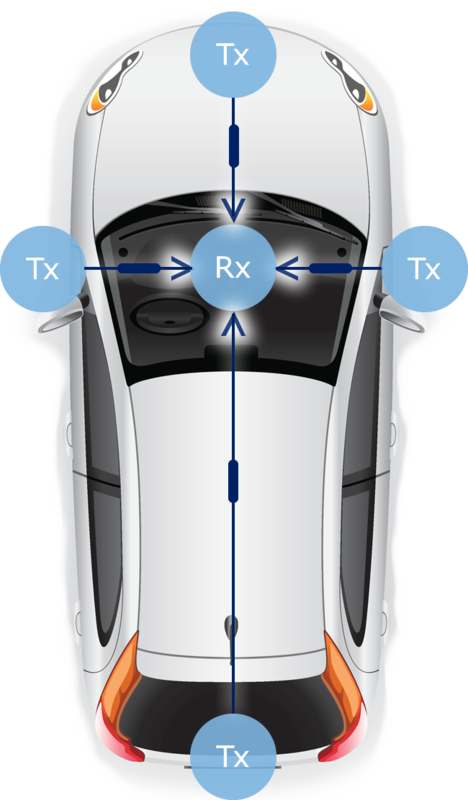 Rx semiconductor (receiver) that receives the signals is incorporated into a car navigation device or other in-vehicle devices. Low-latency and low-noise transmission is possible since the video is transmitted without being compressed. In the future we will develop the next generation products such as 4K resolution compatible products and Rx semiconductors integrated with display controllers.